ISLAMABAD, APR 10 (DNA) – Prime Minister Shahid Khaqan Abbasi has said that Pakistan offers excellent investment opportunities for Hong Kong businessmen to invest in the fields of financial services, technology, logistics, and infrastructure. According to a press release issued by the media wing of PM office on Tuesday, the Prime Minister stated this while talking to Chief Executive of Hong Kong Carrie Lam who called on him on the sidelines of BOAO Forum for Asia. 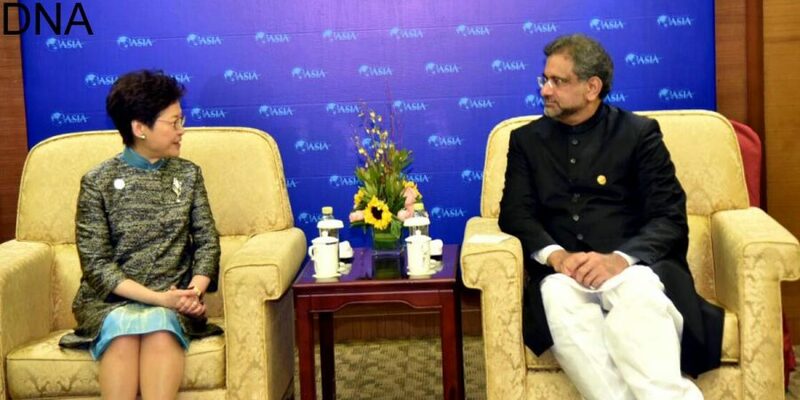 Shahid Khaqan Abbasi said Pakistan considered Hong Kong as a significant and largest free trade area and a super connector of the Belt and Road Initiative. 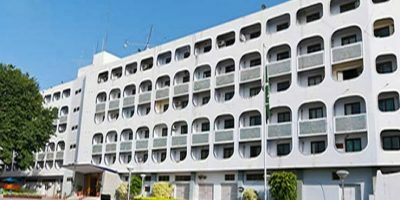 He further said that Hong Kong was home to over 25,000 Pakistan origin residents and commended Hong Kong’s policy of tolerance and interfaith harmony that was a hallmark of its diversity. The Prime Minister said the enhanced people to people contacts was the key to strengthening relations and suggested a more liberal visa regime for Pakistani businessmen and tourists, and an increase in scholarships for Pakistani students in universities of Hong Kong. The prime minister expressed the hope to organise investment and trade promotion event, and B2B meetings in collaboration with the Government of Hong Kong. He also felicitated Carrie Lam on assuming the office of the chief executive through a successful election process that manifested effectiveness of the unique model of ‘one country, two systems’. The prime minister invited the Chief Executive of Hong Kong to visit Pakistan. 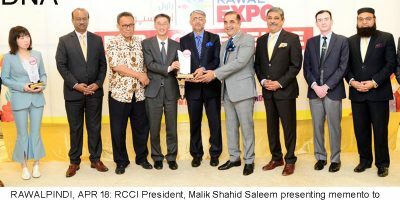 The Hong Kong chief executive commended the economic growth attained by Pakistan under the present government and expressed the hope to further strengthen economic and people-to-people contacts.